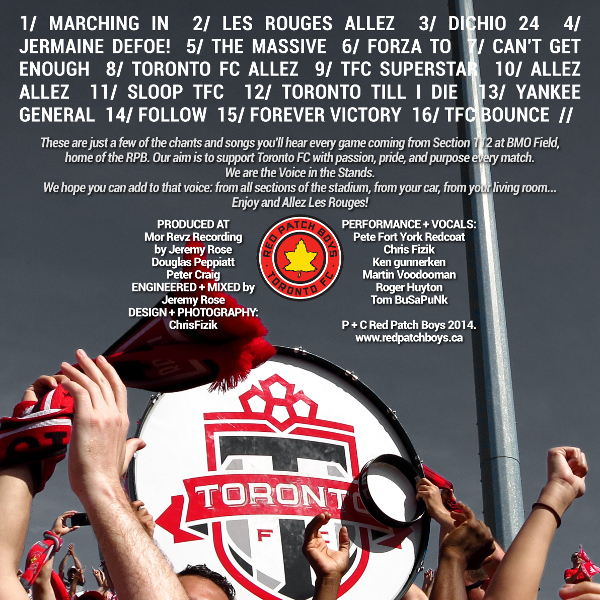 These are just a few of the chants and songs you’ll hear every game coming from Section 112 at BMO Field, home of the RPB. 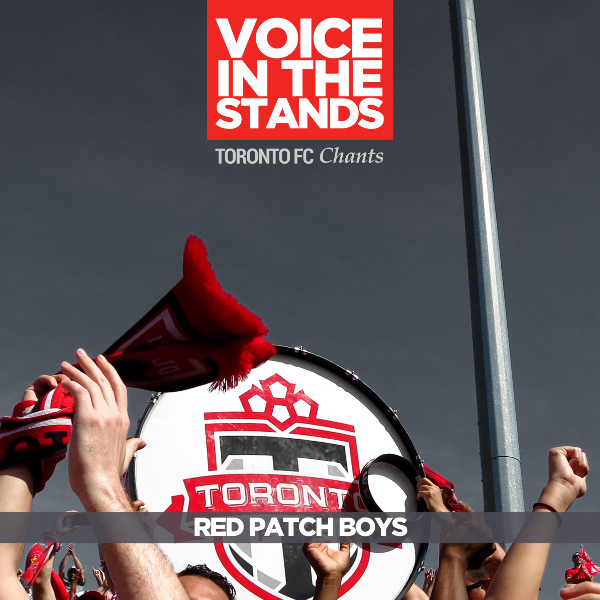 Our aim is to support Toronto FC with passion, pride, and purpose every match. We are the Voice In The Stands. We hope you can add to that voice: from all sections of the stadium, from your car, from your living room… Enjoy and Allez Les Rouges! BONUS Members content! Behind-the-scenes/Making of photos from the studio. Check them out here! by Jeremy Rose, Douglas Peppiatt, Peter Craig. ENGINEERED + MIXED by Jeremy Rose.